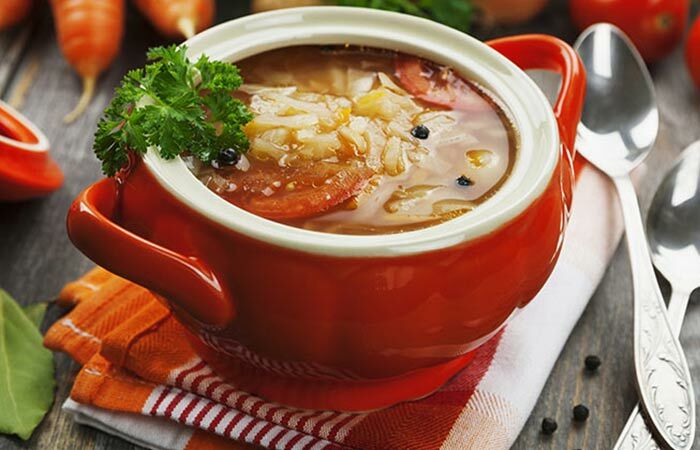 This is a yummy vegetable soup that you can make in a jiffy. Bay leaves add to the flavor, and you can sprinkle black pepper powder for a spicy tinge. It is also okay to add some lemon juice to enhance the flavor. Add the vegetables and boil with water. Add pepper and salt and simmer.